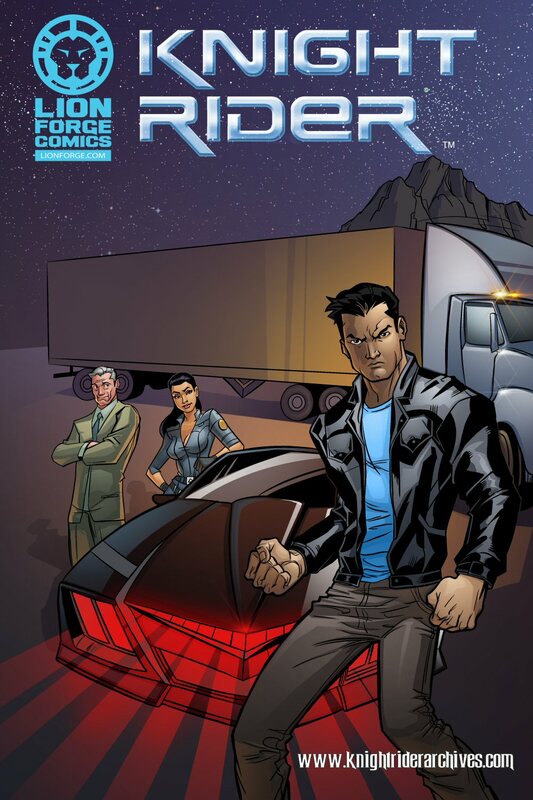 Knight Rider Archives obtained a copy of the cover art for the upcoming Knight Rider digital comic from LionForge and illustrated by Lorenzo Lizana. It's starting to look pretty sweet, and even though this is an updated modern take, there is definitely some familiar cues to be had. Things are continuing to looking positive as we hear more about their plans for this series. Writer Geoff Thorne has been pretty active via his twitter account so be sure to follow him there. Knight Rider Archives also asked some questions via twitter that they've consolidated into a post for easy archiving.